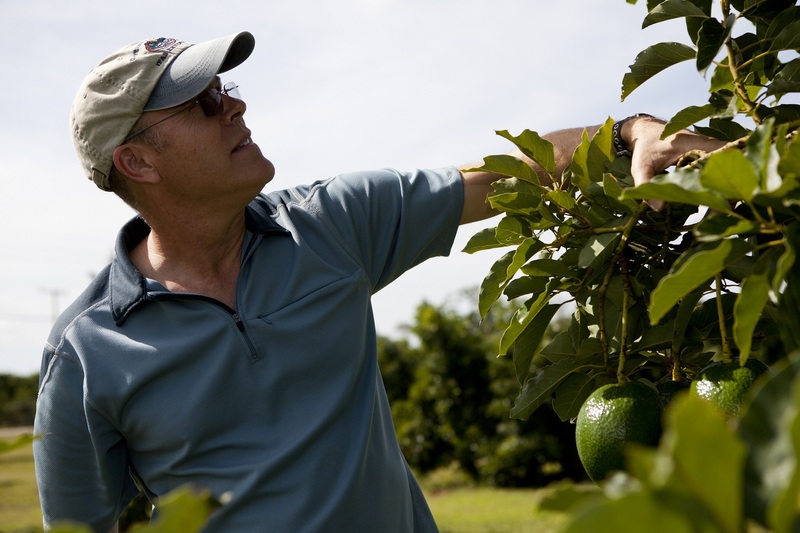 Jonathan Crane, professor of horticultural sciences, inspecting an avocado tree at the Tropical Research and Education Center. Jonathan Crane, a tropical fruit crop specialist with the University of Florida, recently traveled to California to warn growers about laurel wilt. 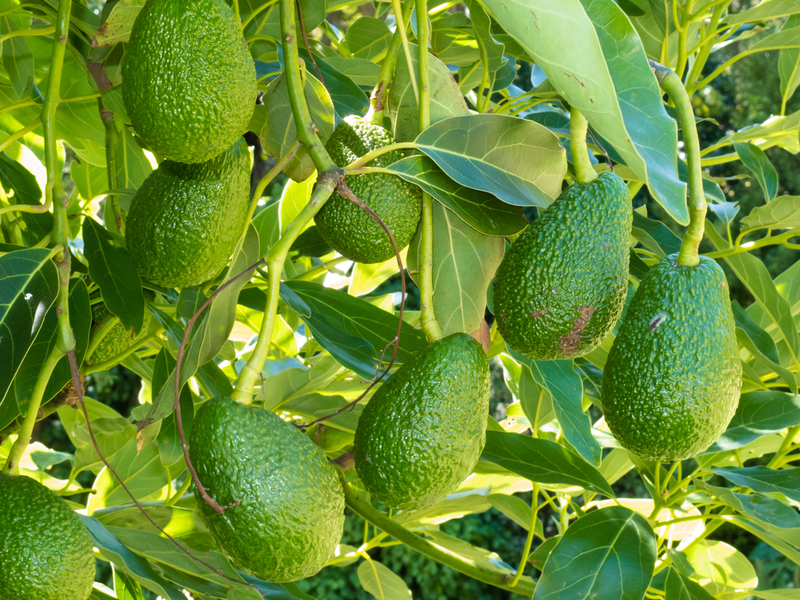 Laurel wilt is a devastating disease for avocados in Florida and now California. This fungal disease spreads from tree to tree quickly. If it is not caught early, it can destroy multiple trees in a matter of days. During Crane’s presentation, he showed a series of pictures that showed laurel wilt taking over three trees in two days. According to Crane, laurel wilt travels between the root grafts of adjacent trees. If infected trees are not identified and treated in a timely manner, the disease will spread at a rapid rate. The first signs of laurel wilt can be seen in the leaves. “By the time you see the green leaves wilting, it’s already wreaked a bit of havoc inside the tree, not necessarily moved, but caused a lot of problems inside,” Crane explains. He says the tell-tale sign of movement is if the green leaves have turned brown. Then, it is important to pay close attention to the adjacent trees for signs of laurel wilt. In Florida, the challenge of laurel wilt is even more frustrating. Not only are growers concerned about the disease spreading through the root system, but an invasive pest from Asia also carries the lethal pathogen. The ambrosia beetle serves as a vector of laurel wilt and has been ravishing Florida avocados. “So, you’ll get the root-to-root movement under control. But then 10 rows down, tree number 50 in the row, all the sudden, comes down with the disease. It’s a new infestation,” Crane explains. He says the best thing growers can do to control ambrosia beetles is to have a thorough sanitation procedure. When growers destroy a tree by burning it or grinding it up, they are destroying where the beetles reproduce, so that is a key component for control. Crane also recommends applying insecticides to the trunk and the major limbs. If the beetles come in contact with the insecticide, it will kill them off and reduce their population. 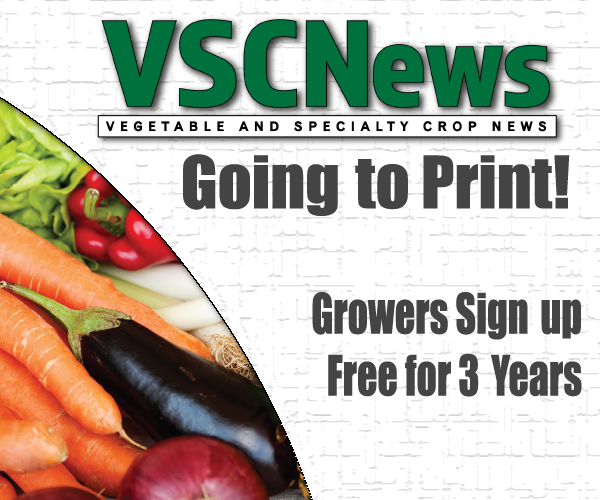 Ambrosia beetles have not become an issue in California, but according to Randy Ploetz, a professor of plant pathology at the Tropical Research and Education Center, it is only a matter of time until the beetles make their way into the western region. Ploetz says the pathogen is already rapidly spreading and making huge geographic jumps. This could be due to the transportation of dead trees and firewood that are infested with the pests, and therefore the pathogen. Proper sanitation is extremely important. Crane has sampled thousands of ambrosia beetles since 2006. 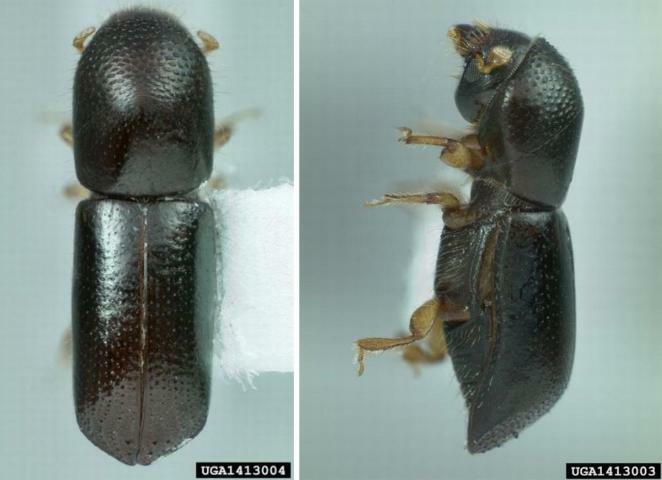 He has found 14 different species of ambrosia beetles in Florida avocado groves. Out of those 14 species, nine are contaminated with the fungus and two species can transmit the disease.